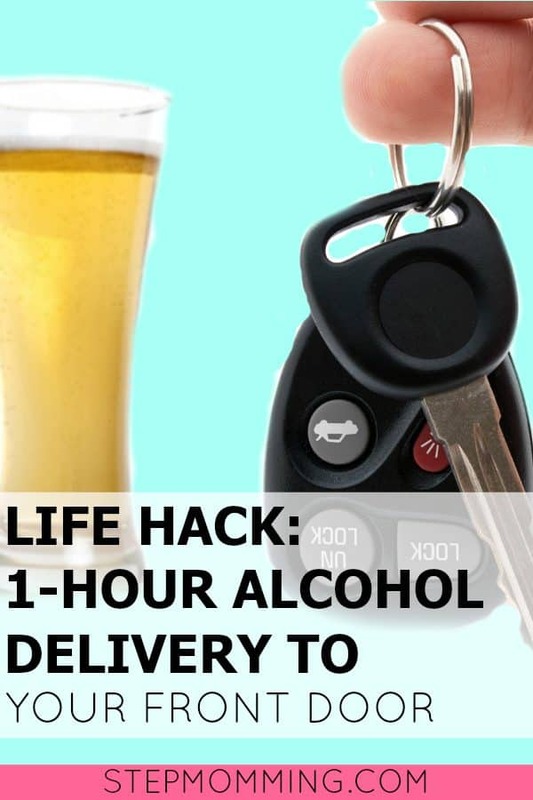 You are here: Home / Blog / Adulting / Food and Drink / Did You Know One Hour Alcohol Delivery Exists?! I immediately looked up Drizly and was amazed at what I found. To be clear: Drizly has no idea I’m writing this, so that should really tell you how intense my own pure excitement is! 1. Liquor, beer, and wine are all included! Choose whatever you want – as long as it’s served at a participating liquor store nearby, it’s yours for the taking! She wants wine but he wants whiskey? No problem! You’ll be getting your alcohol at the same price it’s on the shelf at the liquor store! That means their nearly 2,000 items per market area are available to you at standard shelf pricing. 3. Delivery times within 1 hour! The company brags that most of its markets receive 20-40 minute delivery with almost all within one-hour delivery! So when you notice your bottle getting a little low, just pull up the Drizly app and place an order! 4. You can even schedule delivery in 2 weeks! If you hate shopping but know you’re going to need a bottle of wine to take to a party or know you’re running low on rum, you can place an order and schedule it to be delivered in the future! AND you can gift deliver! Is that not the best birthday present ever?! 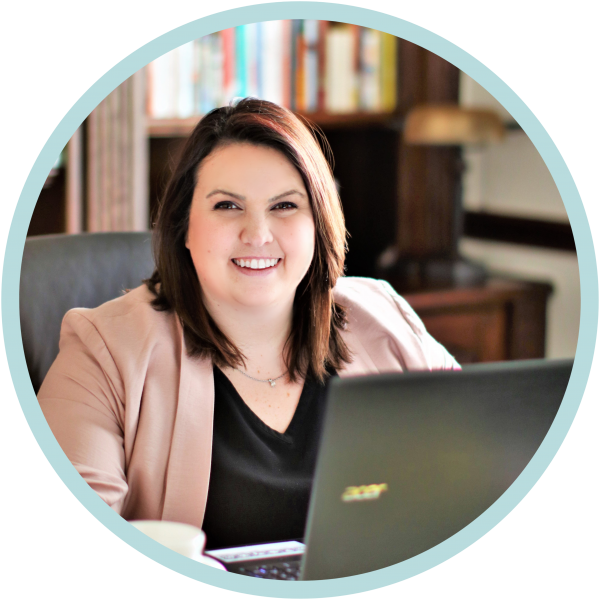 Work smarter, not harder – am I right? $5 is less than a Subway sandwich, less than most drinks at Starbucks, only a couple of gallons of gas… $5 for ALCOHOL DELIVERY, y’all. Want to know if you’re eligible? Here’s Drizly’s coverage map. They’re currently servicing 40+ markets in the United States and Canada! Check and see if you’re eligible. Fingers crossed! 1. You choose the delivery time! Make sure someone 21+ years of age will be there to sign for delivery, and then once the delivery is complete, your gift message will be emailed to the lucky lady or fellow. 2. You allow the gift recipient to choose the delivery time! If you go this route, the lucky fellow/lady will get an email once you’ve placed the order directing him/her to schedule a delivery time that’s convenient. Wondering how to keep your 16-year-old from accepting your alcohol delivery? No worries! Upon delivery, you’ll need to present both your ID and the credit card you used to make the purchase. IDs are inspected and run through special Drizly technology on delivery driver phones to confirm the ID’s validity. 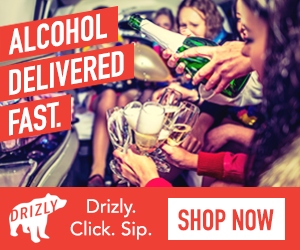 Head on over to Drizly and sign up to start your alcohol delivery service. You deserve it, Mama! This is an awesome service! This will be perfect when I’m home alone with the kids and my husband is working late. Wow! This is so cool! What a great service! Anything to make our lives easier is just awesome! Very exciting! It’s not available in my neck of the woods, but an interesting concept! I love and hate this all at the same time!!! Can’t wait to check it out! Very interesting! I have never heard of this!